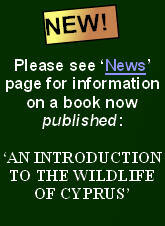 elcome to this website on the butterflies of Cyprus. to maintain an accurate Cyprus butterfly species list, accompanied by brief notes on all species. to aid identification by listing key distinguishing characters of certain species, especially the smaller lycaenids. to provide photographs of the less familiar butterflies such as the Levantine Leopard (Apharitis acamas), Small Desert Blue (Chilades galba) and the endemic species, e.g. the Cyprus Meadow Brown (Maniola cypricola) which are rarely, if ever, referred to in the popular European butterfly books. to offer assistance to Cyprus residents and visitors and provide a point of reference for our network of existing recorders and future contacts. to provide guidance on obtaining a Permit to allow the study of butterflies (and all other invertebrates) in Cyprus, following the introduction of a recently introduced law. to complement our very active Butterfly Recording Scheme for Cyprus, thereby building a valuable database for current and future conservation projects by the Cypriot authorities. to encourage conservation of the island�s butterflies. 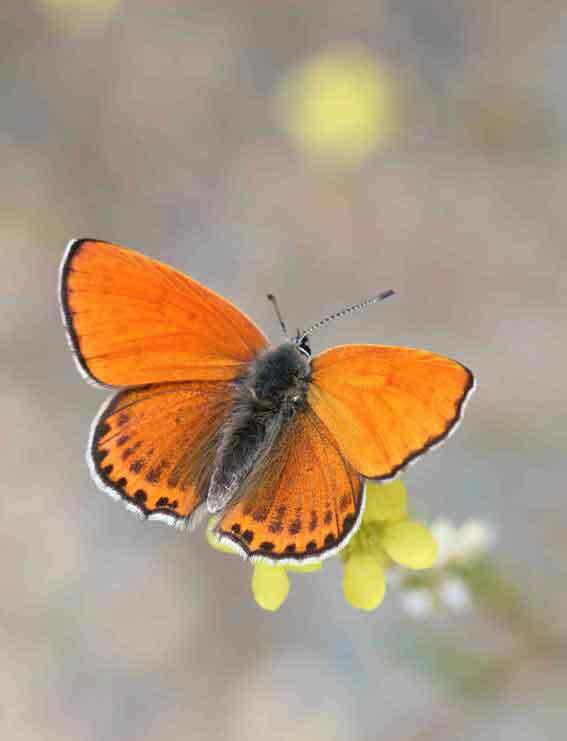 To this end, we formed the Cyprus Butterfly Study Group in 2012, a Network Partner of Butterfly Conservation Europe. 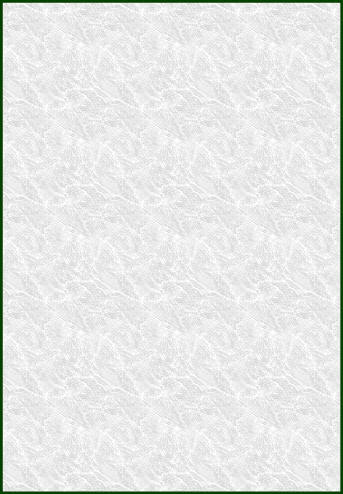 Please refer to the �Site Navigation� page for a summary of available pages on this web site. 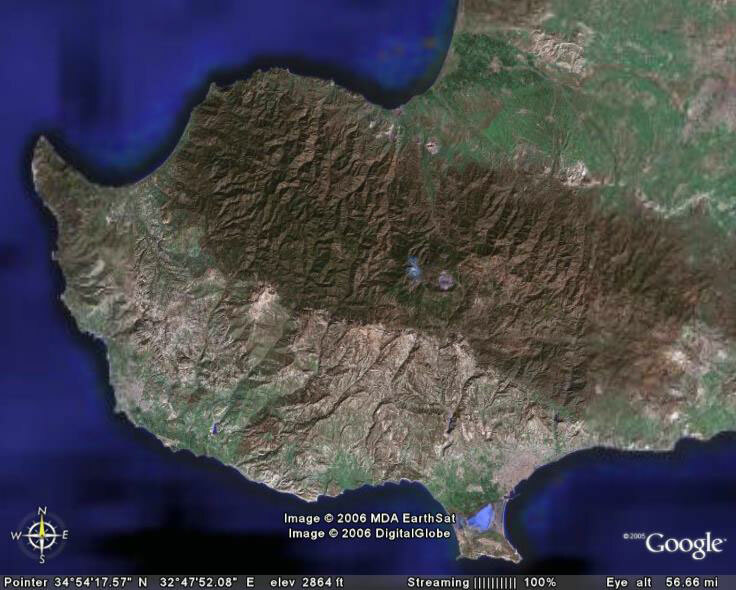 To the north of the island lies the southern coast of Turkey (ca. 70 km) with Syria and Lebanon slightly further to the east. Egypt lies to the south. The Troodos Mountain range dominates much of the western area of Cyprus, while the smaller Pentadaktylos Mountain range runs parallel with the northern coast of the island, leading into Karpasia. 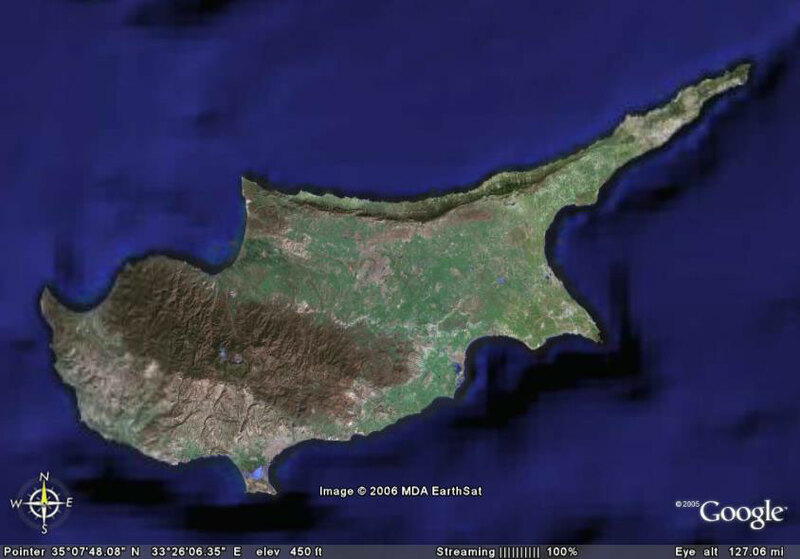 The two ranges are separated by the Mesaoria Plain, which forms the agricultural heartland of the island. 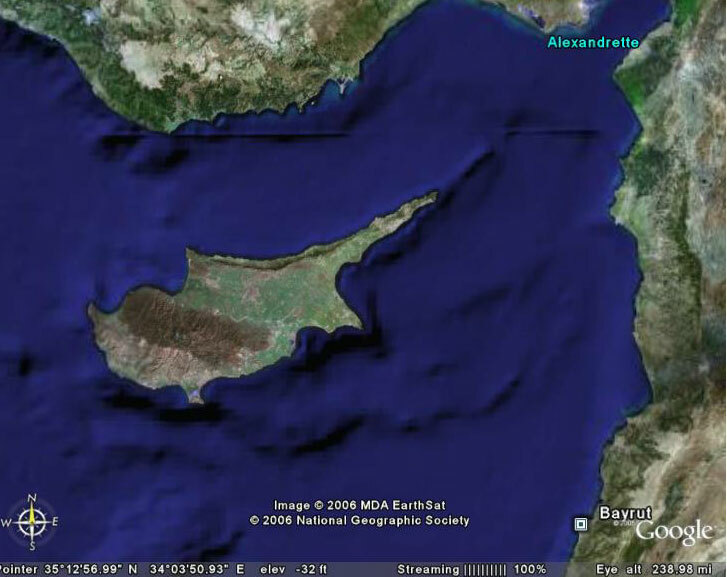 These views of Cyprus show the lowland areas green in winter or spring, with the Akrotiri Salt Lake indicating the seasonal presence of water. In early summer, the water evaporates and the salt lake, along with much of the island, desiccates. In the height of summer, temperatures at Mount Olympus (1951 m) the highest point on the island, may be 10 degrees Centigrade lower than on the coast. (in association with Christodoulos Makris, Rob Parker & Elli Tzirkalli). By actively encouraging many others to submit records, we have adopted the role of Butterfly Recorders for Cyprus and would welcome further records, please. Enquiries for further information, or reports of any behavioural activities relating to the island�s butterflies are welcomed. 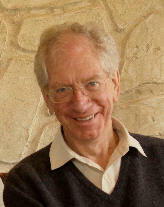 CBSG membership is free and is open to all individuals from across Cyprus and to those living abroad. Please note that I do not wish to carry adverts or commercial links on this site.